ESP Business Furnishings has all types of cabinets and shelving to keep your classroom organized and clutter-free, so students can focus on the task at hand without distracting clutter. Cabinets keep project materials sorted for each lesson or group, for easy distribution and cleanup to ensure maximum time is spent on learning rather than administration. With additional options such as movable walls, you can ensure quick transitions from one subject to the next. A 21st-century classroom should support passive and active learning and easily transition from a lecture format to learner-led and teacher-guided lessons. 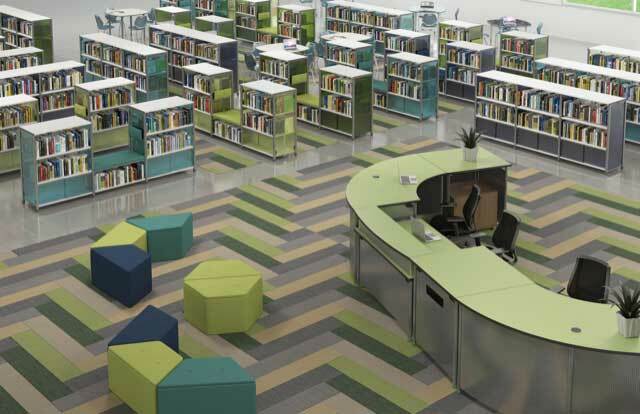 Education is rapidly changing, which is why school furniture design needs to change with it. 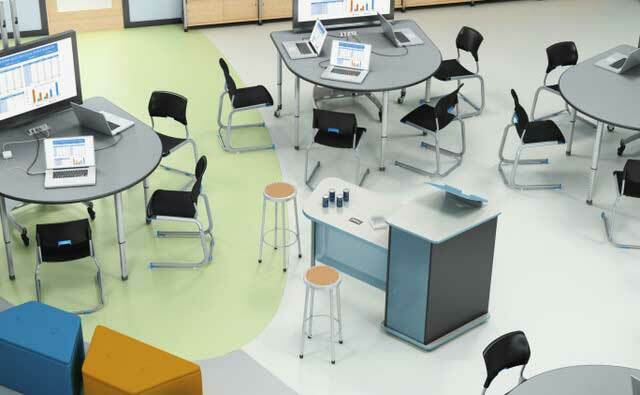 Today’s classrooms demand flexibility, technology integrations, and durability. How a classroom is designed influences the types of learning activities and the impact – whether positive or negative – on a student’s progress. 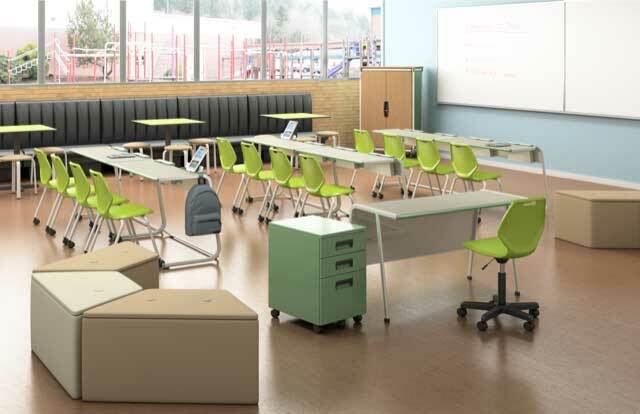 ESP Business Furnishings provides school furniture integral to the learning process, whether it’s a lecture-style setup, group work, or one-on-one teaching. 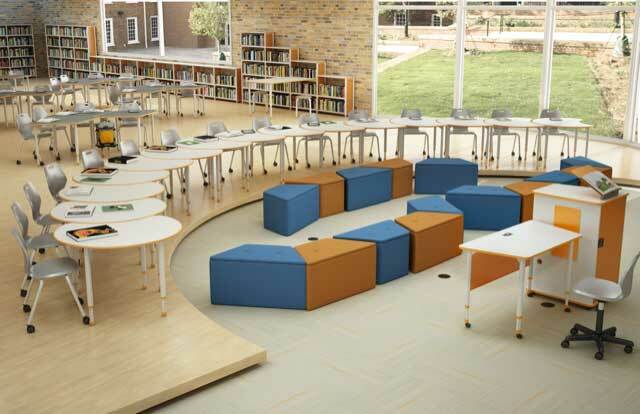 Our unique school furnishings promote multiple learning modalities. The classroom space shapes instructor and student behavior and activities. 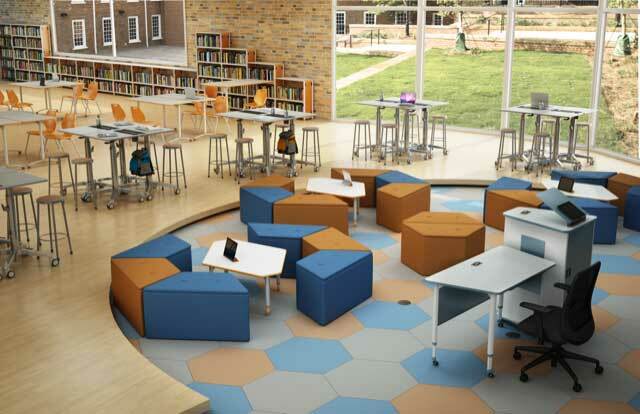 Having a space that allows for different classroom types is conducive to different student outcomes. Mobility remains a crucial factor in collaborative learning environments. 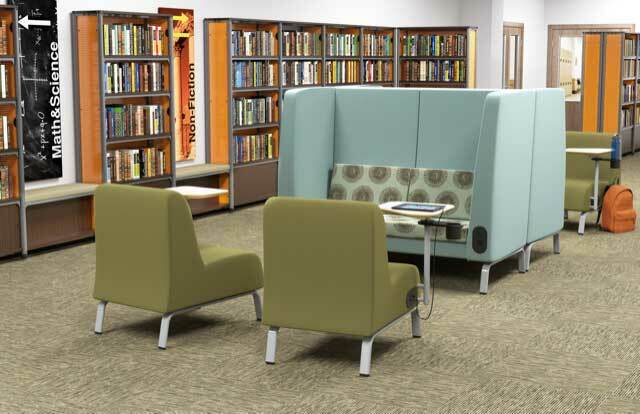 Furniture on wheels allows for expedient transitions and maximum flexibility. Desks, tables, and chairs should be designed so it’s easy for students to pair off or break out into small groups. Whether through tablets, laptops, or hand-held devices, students need the ability to connect with data, WiFi, and school networks. 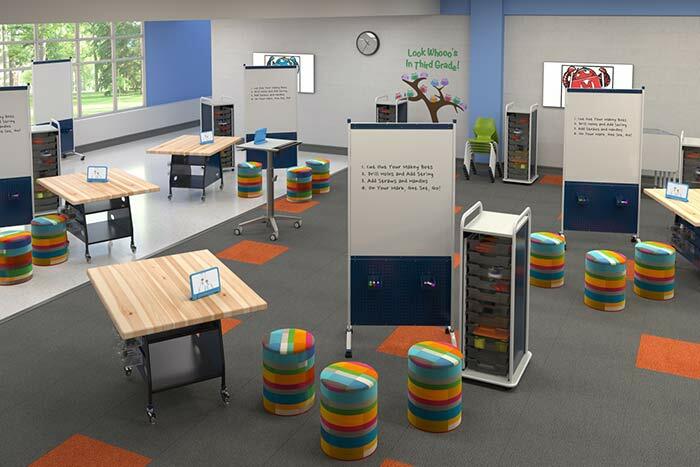 Our furnishings provide power and WiFi to keep students plugged into learning and digital visual presentation technology. 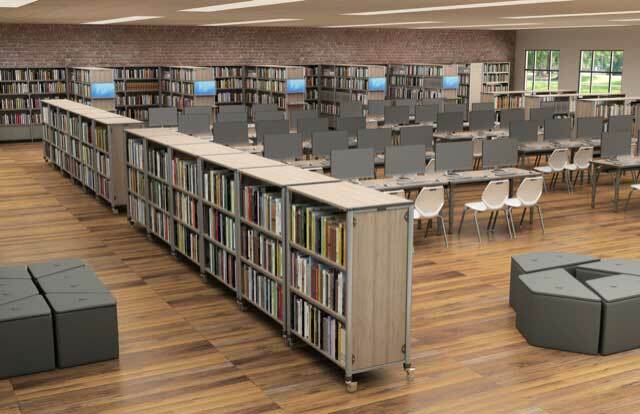 Our furniture works to bring people, space, and information together for greater productivity and better learning results. 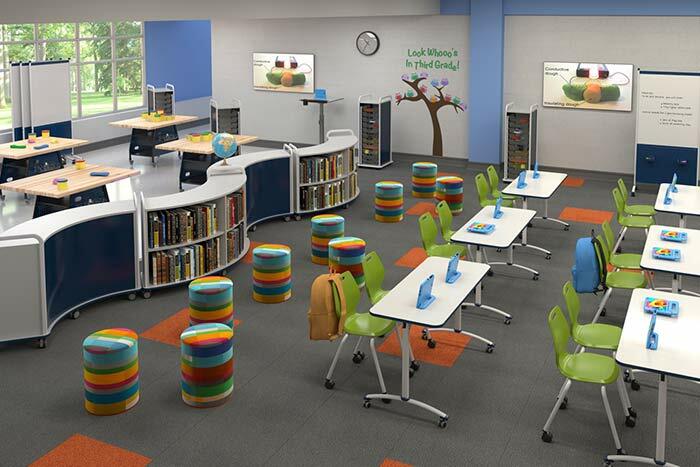 Call us today to design your school for the 21st century! © 2019 ESP Furniture. All Rights Reserved.